The H61 Saxophone Tenon Expander is designed for tenor sax. 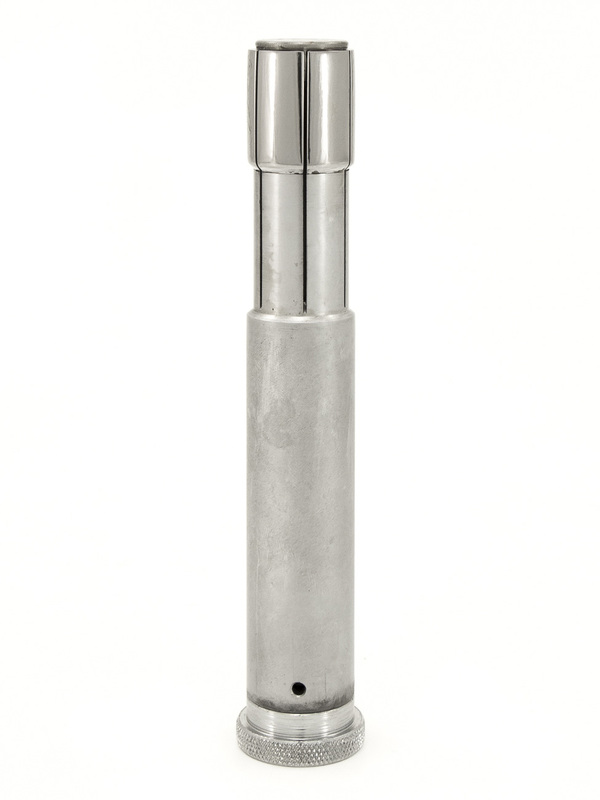 These precision made, polished and chrome plated, expanders have the proper internal expansion angle to give you a feel when you are fitting the job and also help prevent scratching the internal surfaces. These tough long lasting steel tools can be held in your hand or in a bench vise. These expanders all work on the same principle. They make an even, tight fit from loose and worn sax neck tenons and metal flute head and foot tenons, by rounding out bent, dented or out-of-round tenons. These tools apply even pressure, from the inside out.